Home / Tibetan Thangka / Manjushri Tibetan Thangka Painting – for Buddhist Shrines. 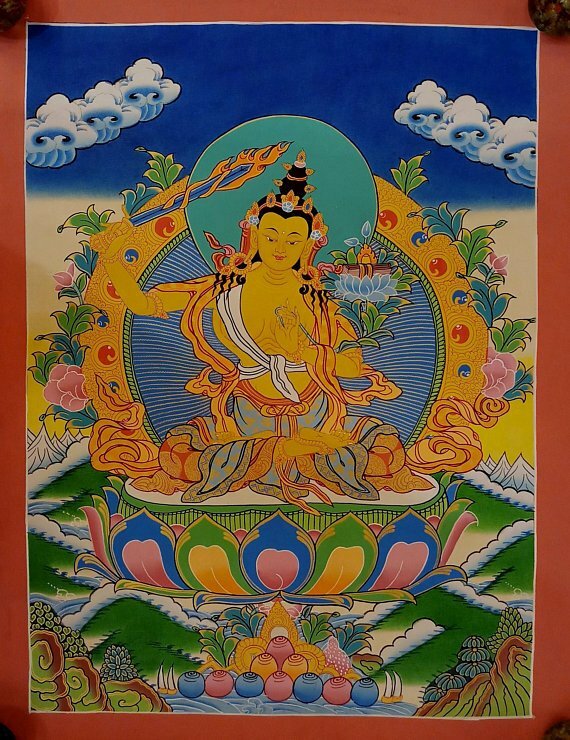 Manjushri Tibetan Thangka Painting – for Buddhist Shrines. 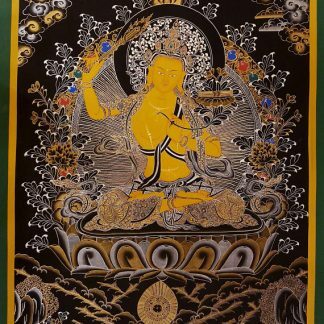 This beautiful Manjushri Tibetan Thangka is a perfect decorative wall art for your shrine and home. 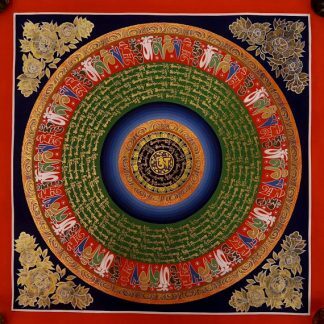 It can aid you in your mediation and spiritual growth. 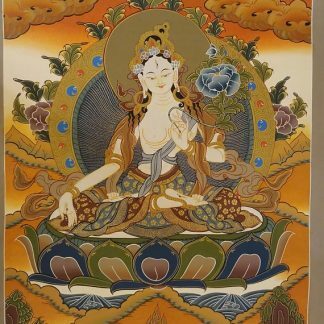 Technical Description of Manjushri Tibetan Thangka Painting is as follows. 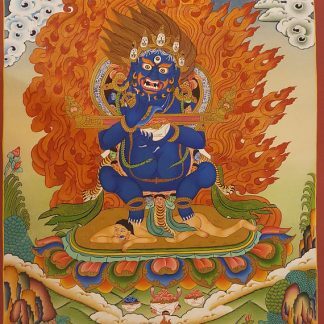 Manjushri symbolizes“God of Divine Wisdom” whose worship confers mastery of the Dharma, retentive memory, mental perfection and eloquence. 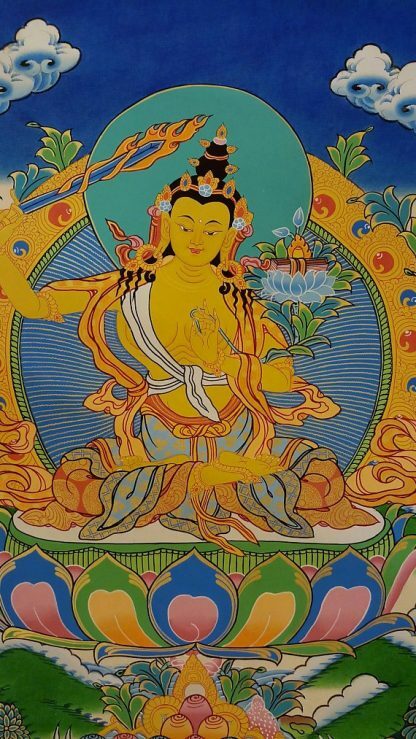 Manjushri is also one of the forms of Bodhisattvas and he symbolizes wisdom. 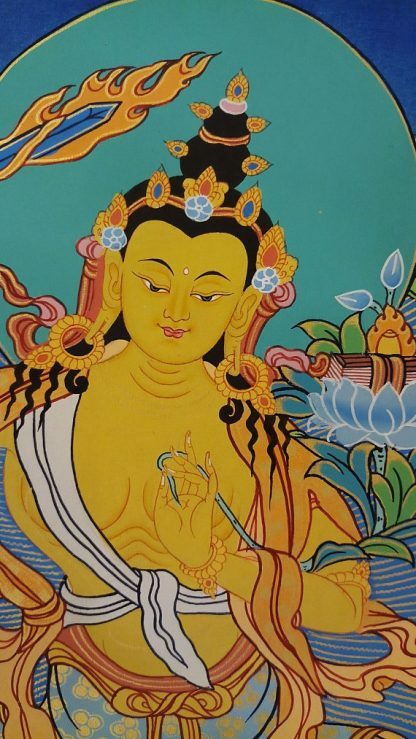 This particular Manjushri Golden Buddha Thangka fits well in the category of Home Decor. 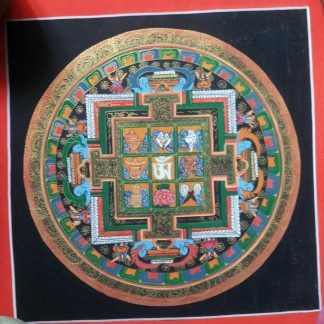 It is painted in golden color and parts are 24 k gold. Other colors are stone and water paints. You can simple decorate your living room or even your personal room for decoration. 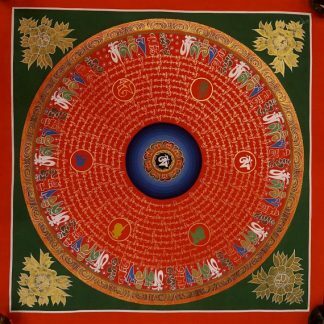 And for spiritual purpose you can place it on the walls of your altar and meditate in front of it. 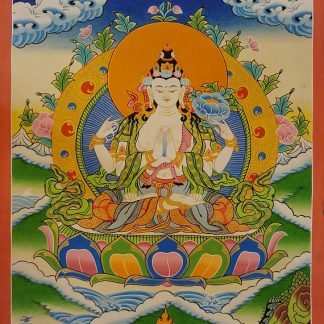 White Tara Thangka Painting – Perfect for Buddhist Altar and Home decoration.